This post sponsored by Lunchbox. All opinions are 100% my own. Halloween is creeping near and it might be stressing you out if you haven’t thought of a costume yet. 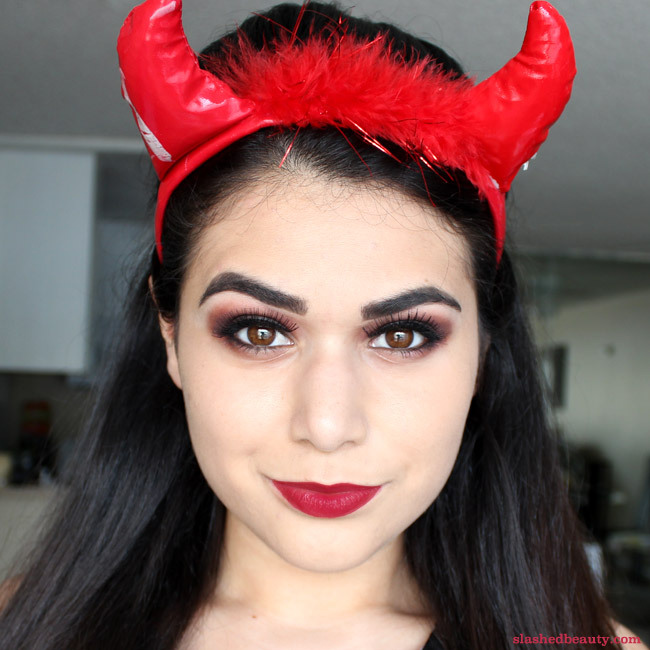 But dressing up doesn’t have to be a big to-do; you can throw together a last minute Halloween costume can be as easy as doing your hair, simple makeup, and throwing some devil horns on. That’s actually what I did a couple years ago when we decided to go out last minute and I didn’t have time to do a full get up. After I saw how easy it was to pull off, it became my go-to when I needed some kind of costume for parties. Plus, it reminds me of the Halloween episode of One Tree Hill when Brooke made her own devil costume… she was my spirit animal in high school. You can pick up everything you need for this last minute Halloween costume at your local Target (on sale too, just keep reading! ), starting with Simple Moisturizing Facial wash & Rich Moisturizer to prep the skin. Considering you’ll probably be out all night, dehydrating yourself with some spooky cocktails, moisture is key to keeping your skin looking healthy and makeup looking its best. 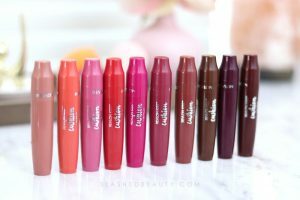 For makeup, kill 5 birds with one stone with the e.l.f. 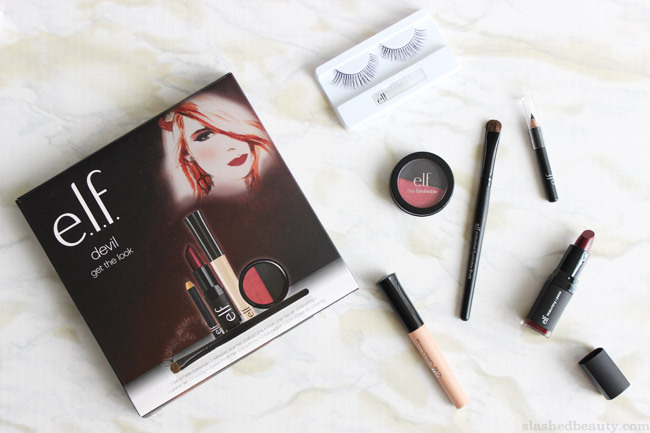 Devil Cosmetic Set, which comes with their Eyelid Primer, an eyeshadow duo, an eyeliner, false lashes and lipstick. Together they create the perfect sultry devil look that will seduce anyone into signing a deal with you. I just tapped the black shadow onto the lid and the red into my crease for this eye look— super easy! 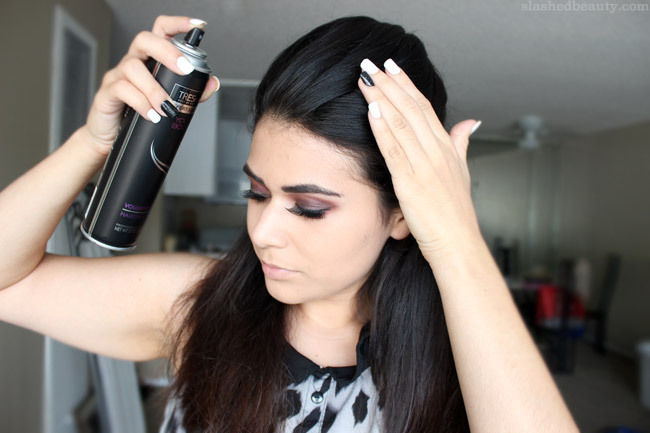 For my hair, I used three products to create this sleek half-up look. First, I used the TRESemme Fresh Start Basic Care Dry Shampoo to add a bit of texture at the roots. 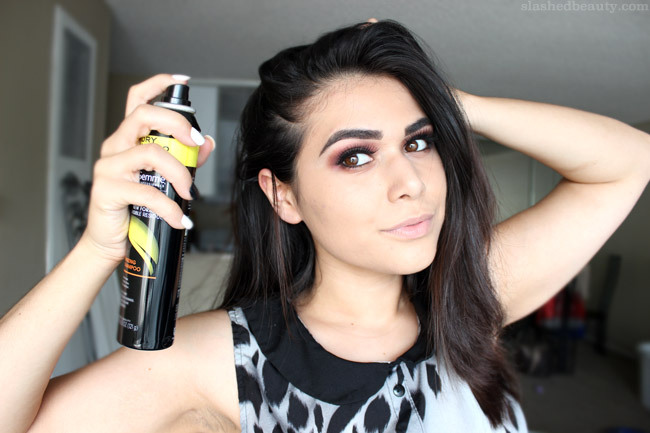 I hate teasing my hair, so I’m keeping this on the sides and at the crown to give some volume to the top of my hair. To give my ends a little bit of a tousled look, I sprayed in the TRESemme Expert Selection Perfectly (un)Done Sea Salt Spray and scrunched my hair. It made my hair look a little less perfect, but still very glam. 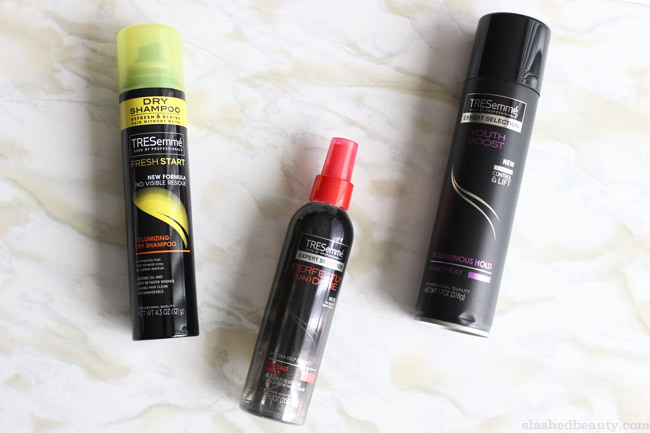 After clipping the top half of my hair up in back, I finished off with the TRESemme Expert Selection Youth Boost Voluminous Hairspray to set everything in place. Finally, I just added some devil horns, which I found incredibly cheap at a party store, and my “costume” was done! Pair the look with a red dress or top to look like you tried even harder than you really did. 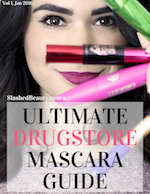 Those should help when putting together your look on the cheap! Good luck and have fun! What’s your go-to last minute look? Love this look, and how convenient to just grab everything from Target. 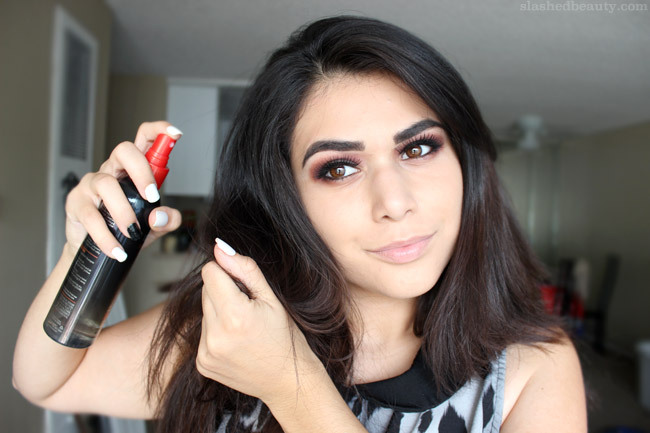 Your hair is gorgeous girl… But that eye look… fabulous! I love it. 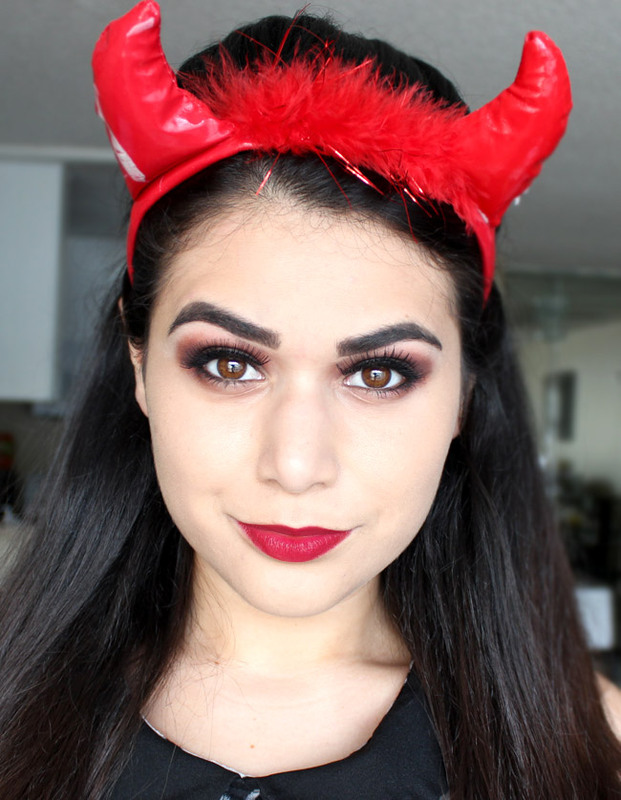 I have a light up pair of devil horns for last minute costumes… it’s so fun to have. Your hair and makeup are flawless. My first thought was, Alice Cullen. Very pretty look. I was just looking at the ELF sets in the Halloween section at Target yesterday. I love how you used the colors! I love this look so much! Pinning, sharing, tweeting! You’re too pretty to be the devil. Even your hair looks perfect. You have the most perfect hair everrrr. Love this eye look even without it being Halloween!! You look so sultry!! !LOVE it! Def a devil! So vampy and pretty! And it’s so easy to just take off the headband and go out to dinner and dancing. Love your costume and makeup! Love this!!! I especially love the eye look you did! So cute!! Love the vampy eye look. Target always has such great deals!